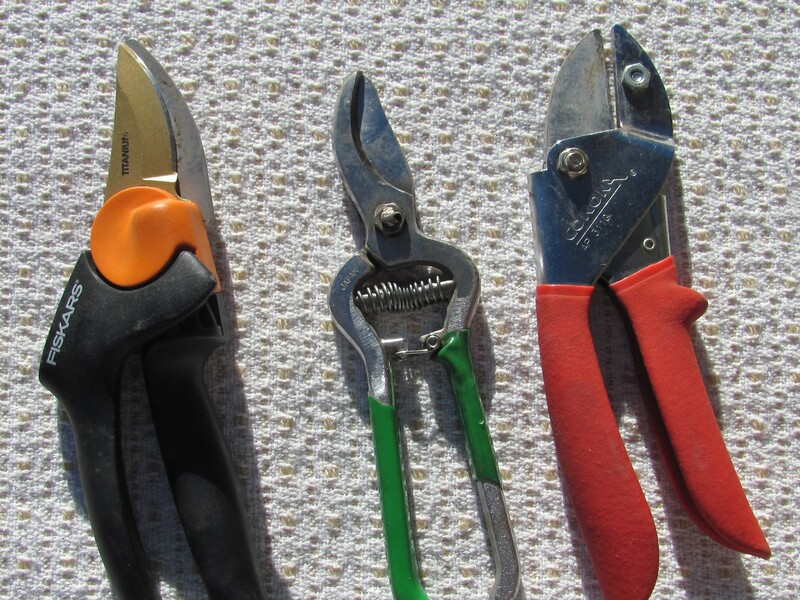 Pruners: The no-brand-name ones made in Japan have lasted the longest. Pruning a young tree may not be for the faint of heart. I wasn’t sure Michael Smith wasn’t sucking in his breath as Catherine Wissner lopped off a nearly 1-inch-diameter, 4-foot long, competing leader on one of his cherished young aspen trees. While making arrangements for Smith, photo editor for the Wyoming Tribune Eagle, to take pictures of pruning techniques for this story, he volunteered the trees in his yard for a house call from Wissner, the horticulturist for the University of Wyoming Laramie County Extension. And he did have perfect examples of several situations requiring pruning. Surprisingly, winter is the best time for pruning most trees. “You can see their bones,” Wissner said. You can see all their structural, health and safety problems. Being a season for dormancy for trees as well as insects and diseases, those problems are less likely to spread through the fresh cuts. Also, if you need to hire an arborist, he or she may not be as busy. Millions of wild trees are pruned by nature, but on your own property, you really don’t want to wait for the wind to do it for you, dropping a weak limb onto your car or onto your roof. Arborists are trained to recognize a variety of situations, but there are a few that you can easily recognize and take care of while trees are young, which will save you (or the next homeowner) money and heartache a decade or two in the future. But first, let’s talk about how to cut. There are three caveats. First, make sure your tools are sharp and sanitary. If you are cutting away diseased wood, be sure to disinfect tool blades after each cut. Wissner uses ¼ cup bleach to a gallon of water. Follow that up with a clear water rinse to keep the bleach from corroding the metal. Hand pruners work for twigs and branches under 1 inch in diameter. Wissner prefers the bypass type (scissors-like) rather than the anvil type. A pruning saw is best for anything more than an inch. Bow saws are fine too, but can be hard to get into position without damaging nearby branches. Keep in mind chainsaws are likely too big for the job when it comes to young trees. You could end up doing some serious damage. Second, never remove more than 25 percent of the tree’s canopy in one year. Err on the side of less, rather than more pruning. When shortening a branch, cut at an angle just above the juncture with a bud, twig or side branch. The first rule of pruning is no touching. Look for branches that are rubbing on each other or are within a fraction of an inch apart and will rub in the wind. Branches that touch will rub each other’s bark away, leaving wounds that are easily infected by tree diseases and insects. You could eventually lose both branches. Instead, you can determine which branch to keep: the one that is stronger and or contributes best to the shape you want the tree to grow in. The no touching rule also applies to human structures. You don’t want branches rubbing on your house or fence—it’s bad for the tree and the object. Branches should be trimmed 4 feet above roofs so that there is plenty of clearance when they are snow-laden. As for public safety, city ordinances require removing vegetation 8 feet above sidewalks and 14 feet above alleys and streets. 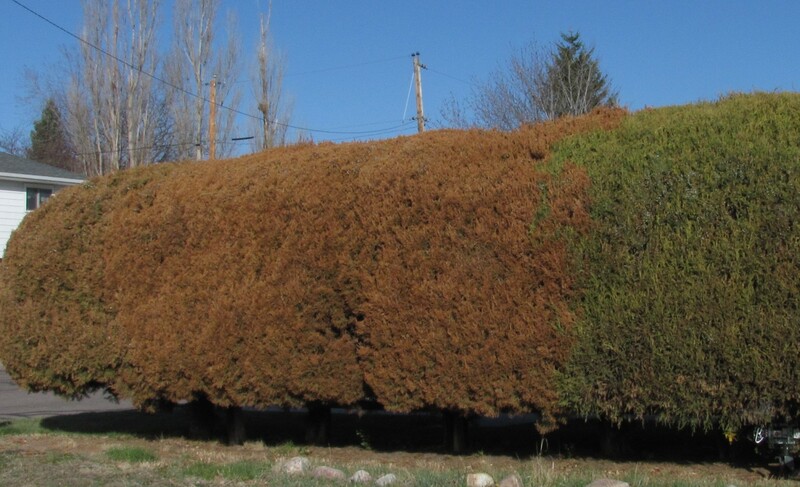 Everyone recognizes the pointy top of a spruce tree is its central growing point, which arborists refer to as the leader, but even most deciduous trees should have only one. However, when I look at the 50-plus-year-old trees at my house, it’s easy to see that accidents caused the trees to produce multiple leaders. One of Smith’s young aspens had the same problem. You could see the original, now dead leader pointing perfectly vertically to the sky, but on either side were two lateral branches now also pointing up, competing for the job. Left to their own devices, the leaders use the tree’s valuable energy competing with each other. Only the healthiest, best looking one should stay. The tree will be happier, said Wissner, when it can devote its energy to just one leader. The height of where a branch attaches to the trunk never changes as the tree ages, Wissner told us. One of Smith’s aspens had lateral branches at about two feet above ground level. As the tree grows, they will only get bigger and begin to become obstacles while mowing the lawn. He could mulch around the tree, so mowing close wouldn’t be necessary. One thing for him to consider is that some branches might still be at the eye-level of his children playing in the yard. On the other hand, spruce trees should be left to drape their branches to the ground (that much less lawn to worry about!). It helps if they are planted where their branches don’t interfere with human activity when they are at their mature spread of as much as 30 feet across. A tree may send up a sprout, or sucker, from the roots, or water sprouts on a main branch. They can grow as much as three or four feet in one year, with leaves larger than normal for the tree. These are a drain on the tree and increase its chances of acquiring disease, so they should be loped off immediately. They usually die back in a year or two anyway. Even in winter, dead branches in a deciduous tree are pretty obvious. Compared to live young branches, the leaf buds aren’t plump, the skin looks desiccated and the branch is no longer as flexible. If you are removing diseased wood, cut in healthy wood beyond the infection. 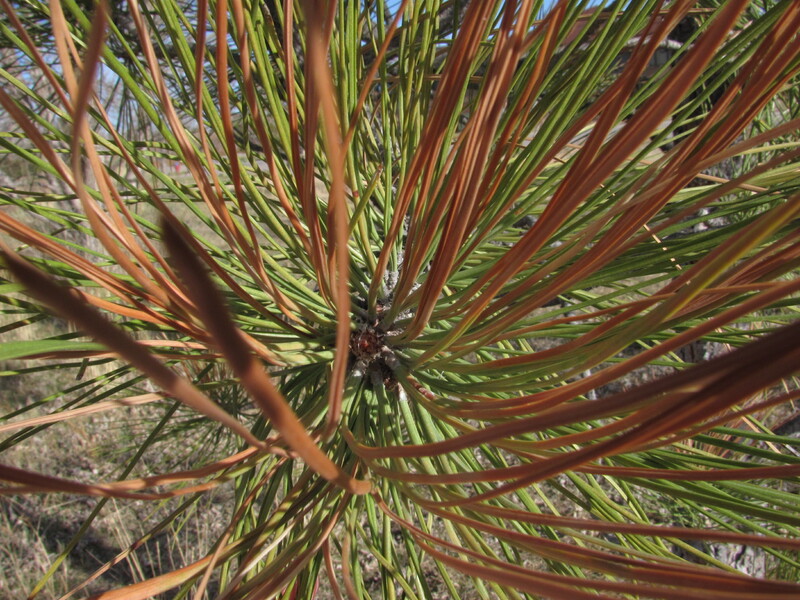 It will surprise people to know that there are a fair number of trees that plant themselves in Cheyenne. The volunteers usually pick a microclimate with a bit of extra moisture or shade, like right next to your house foundation. Roots are stronger than concrete so you are best off removing those trees before you get attached to them. However, the trees damaging Smith’s fence–some kind of flowering plum–were probably planted too close. Volunteers are usually softwood trees that don’t last long in Cheyenne anyway, such as silver maple, elm, boxelder, poplar and willow, and are the most likely to shed limbs during storms. Trees add value to your home, but only if they are healthy and not threatening people or property. You can do a lot for them yourself with a hand pruner when they are young, but get more information if you have fruit trees and please call certified arborists for the big issues and big trees, especially if utility lines are involved. 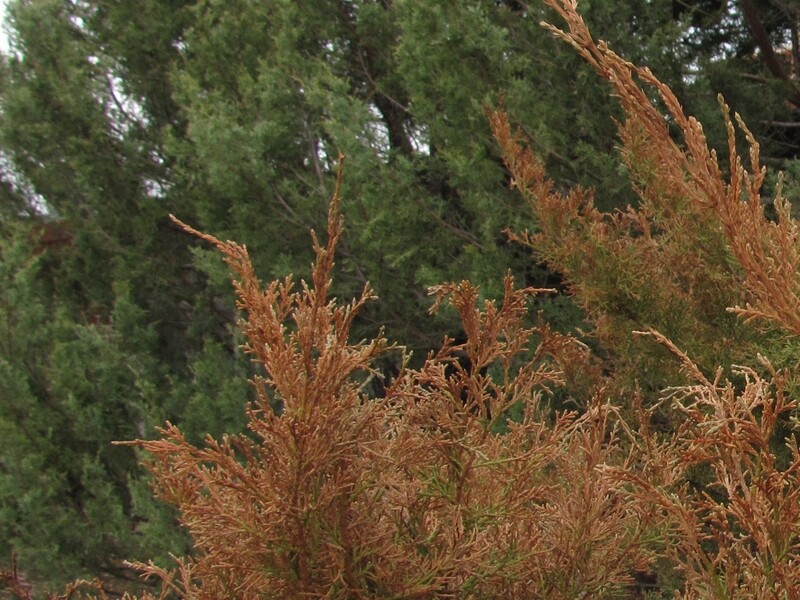 The best information about our local trees and taking care of them is at www.cheyennetrees.com, the Cheyenne Urban Forestry Division’s website. They have a list of licensed arborists. You can call them at 637-6428. The Arbor Day Foundation website has a nifty animation of the finer points of pruning young trees, www.arborday.org/trees/pruning/animation. It is also available in print from the Urban Forestry Division. And Catherine Wissner can be reached at 633-4383. Categories: Pruning trees and shrubs | Tags: Arbor Day Foundation, Catherine Wissner, Cheyenne Urban Forestry Division, Michael Smith, pruning, pruning shrubs, pruning trees, University of Wyoming Laramie County Extension | Permalink.